Ready to celebrate your love? A romantic retreat to Catalina Island is the perfect choice for an anniversary celebration, whether it’s the anniversary of your first kiss last month or the anniversary of your marriage 50 years ago. A Catalina anniversary getaway lets you celebrate the care you have for each other while spending time at one of the most romantic destinations in Southern California. Surrounded by the dramatic scenery of Catalina and embraced by the unique island atmosphere, the two of you will have time to focus on each other and deepen the bond between you. 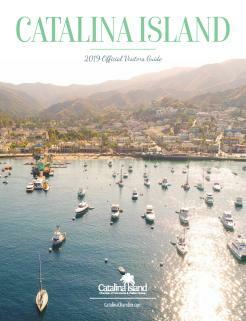 Here are our suggestions for celebrating anniversaries on Catalina Island. First anniversary. It doesn’t matter if it’s your first wedding anniversary or the anniversary of your first Tinder date last month, first anniversaries are all about the passion. Heat things up in a romantic Avalon hotel suite and plan to spend your days and nights completely focused on each other. If you’re celebrating your first anniversary on Catalina, book a couple’s massage, have a romantic dinner for two and plan on a moonlit stroll along the waterfront. Five-year anniversary. After five years together, your relationship deserves a Catalina vacation. If you are spending your five-year anniversary on Catalina, take the time to celebrate the past and anticipate the future. 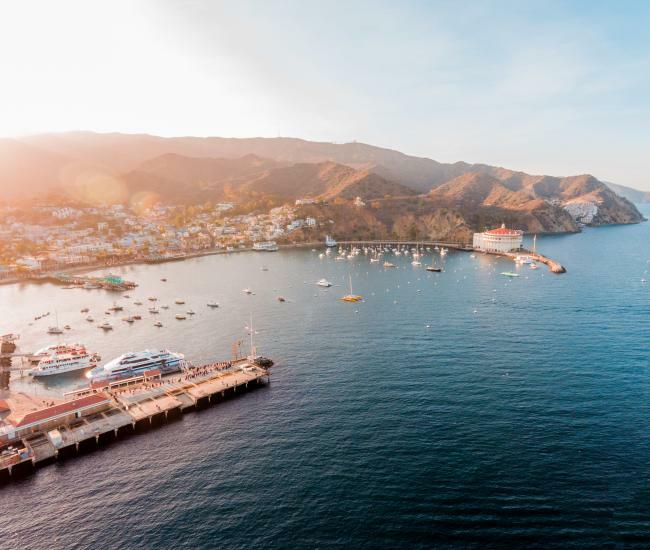 It’s a great time to book a room with a view and enjoy some relaxing time together and take advantage of some of Catalina’s many activities, including hiking, snorkeling and kayaking. 10-year anniversary. A 10-year anniversary is the perfect time to indulge each other. Plan a spa day, book a cabana on the beach and treat yourselves to a multi-course culinary adventure at one of Catalina’s restaurants. This anniversary is the ideal time to spend a little extra time together with a longer Catalina vacation. 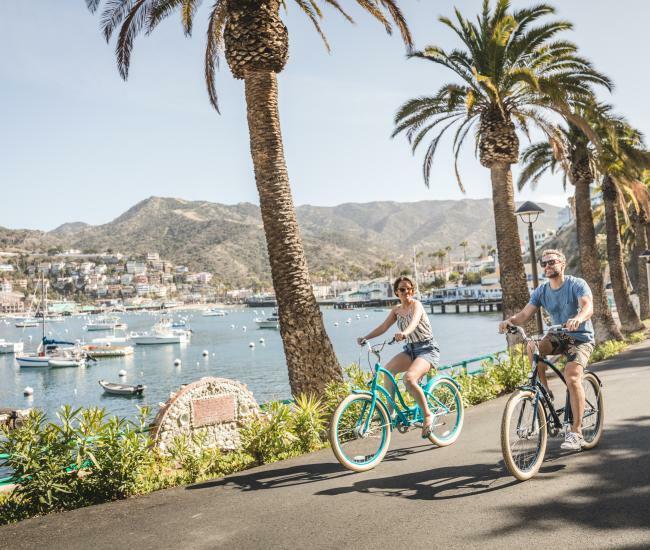 A week-long getaway allows time for some of Catalina’s more intriguing activities – learn to scuba dive, take on the Trans-Catalina Trail or spend a few days at Two Harbors, at the island’s more remote West End. 25-year anniversary. Your relationship has hit a milestone, how about it honoring it with a vow renewal? There are plenty of options for renewing your vows on Catalina Island, from barefoot on the beach with just the two of you to a decadent black-tie gala at a historic venue with 100 of your closest friends and family. If you’d prefer to leave the planning to someone else, event planners on Catalina can help you plan and arrange transportation, lodging and the event itself. 50-year anniversary. What a life – and what a love! A family reunion offers a unique opportunity to both celebrate your relationship and the life you’ve created. With plenty of things to do and an array of lodging options, a family reunion on Catalina lets everyone celebrate with you. Catalina lodging options include both hotels and vacation rentals, so every family member can find their perfect accommodation. Activities range from high-octane adventures to low-key relaxing escapades, so no matter what their age or interest there will be something for everyone. For the perfect reunion, make time to get the whole family together, but also schedule some down time so everyone can explore on their own. Your loved ones will want an opportunity to honor your lives together, let them plan a gala celebration. 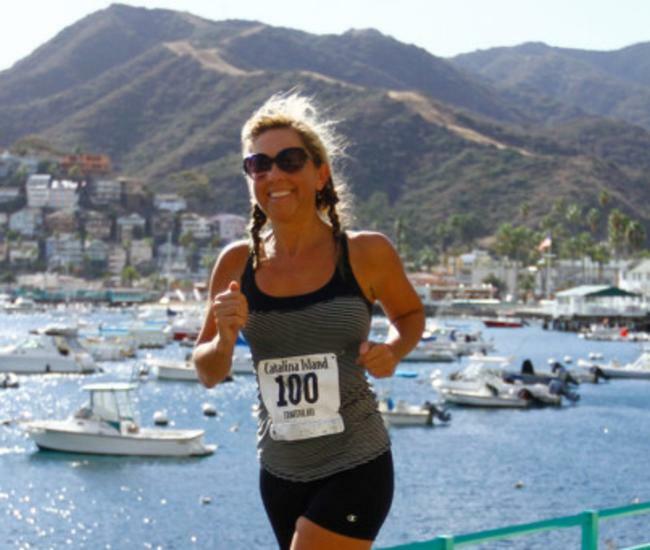 A 50-year anniversary party combined with a family reunion on Catalina Island will be an event your family will remember – and cherish – always.